When you look at this list: Almonds, cashews, flaxseeds, peanuts, pumpkin seeds, sesame seeds, walnuts and sunflower seeds ‘“ can you tell which ones are considered to be nuts, and which ones are seeds? Naturally, the ones with seeds in the end of the phrase belong to the seeds category, but aside from that, what are the distinct differences between the two? First, how do you define each term? 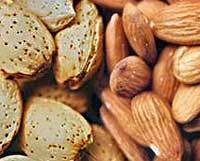 Nuts are hard-shelled fruits of plants which are an important source of nutrients for man. Some examples of nuts are hazelnuts, chestnuts, acorns and hickories ‘“ and they are characterized by the stony fruit wall which is actually a composite of the seed and the fruit. On the other hand, seeds are the small plant enclosed in the seed coat, which usually has stored food. As you may already know, there are some edible seeds which are a crucial part of the human diet, because they are a great source of vitamins, minerals and nutrients, which are good for the body. As far as nutrient content is concerned, nuts are rich in protein, vitamins, minerals and fat; while seeds are rich in protein, vitamin B, minerals, fat and dietary fibers. One common misconception that people have about peanuts and ground nuts, is that they are part of the nuts family, but they are actually categorized as legumes. There are some seeds like sesame and poppy seeds which do not require the husks to be removed when eaten ‘“ while other seeds will require the husk to be removed. No matter what culinary requirement it is that you have, you will find that nuts are available in a variety of forms, including shelled, raw, roasted and dry roasted. Seeds are also available in raw and roasted varieties ‘“ so take your pick! 1. Nuts are a one-seeded fruit, while seeds are the propagative part of a plant. 2. Nuts will typically have one seed or two, while seeds take the form of a small embryonic plant, and are smaller. 3. Nuts are rich in protein, vitamins, minerals and fat; while seeds are rich in protein, vitamin B, minerals, fat and dietary fibers. Julita. "Difference Between Nuts and Seeds." DifferenceBetween.net. June 14, 2011 < http://www.differencebetween.net/object/comparisons-of-food-items/difference-between-nuts-and-seeds/ >. I’m surprised this article failed to mention that peanuts are neither nut nor seed. Peanuts are in the legume family. Green greetings, Veggiedude, you must have skipped over the fourth paragraph where it mentions that peanuts are actually categorized as legumes…honest mistake you may have been eating a plate of veggies while reading…this was a great article, short and to the point. Wrong, it does mention legumes! They did mention this – paragraph 4. I had never taken the time to even realize that there was a difference, to be honest. Call it blissful ignorance, but I had never given it thought. It makes total sense now, and it will certainly help me going forward, so I can make sure I’m eating what will give me the most nutrients. A list of seeds vs a list of nuts vs a list of legumes would have been nice. They did even better. They explained the difference so that you can make your own list. If you’re too lazy to figure things out when you have the information needed is all on you. Cashews are also technically legumes. Cashews are not legumes either. Legumes are seeds from plants in the Leguminaceae (now called Fabaceae) family. The cashew apple is in an entirely different family. Cashew ‘nuts’ are auxillary appendages to a normal fruit. Botanically, they are not nuts, legumes or seeds. Culinarily they are probably best considered nuts. Cashews are a fruit. The part that you eat is the seed of the fruit. There is,no difference between an apple seed and a pecan or walnut. The walnut has a soft outer covering that will stain you black. The Apple has a soft outer covering that you can eat. When the fleshy outer covering is gone there is a hard woody covering on thhe Apple seed and a hard woody covering on the walnut . When you remove that from either one you have a seed. However now the walnut seed is tasty and the Apple seed bitter. An acorn cap s the modified version of the walnut husk or the tasty apple covering.at that point the acorn is just like the walnut or the Apple seed. Remove the hard outer shell and the seed is inside. Check your definition of trees in a real scientific publication. Bread makes me poop. I’m not sure if it’s a seed or maybe a legume? ?